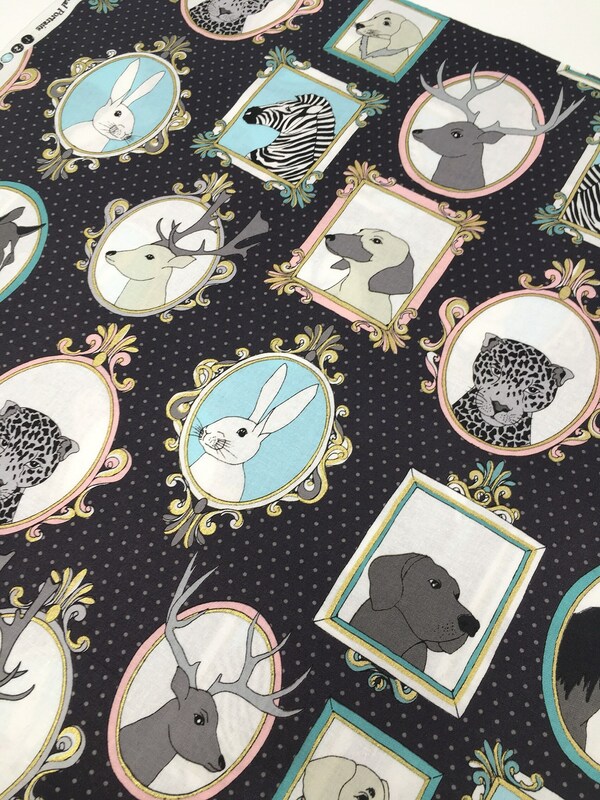 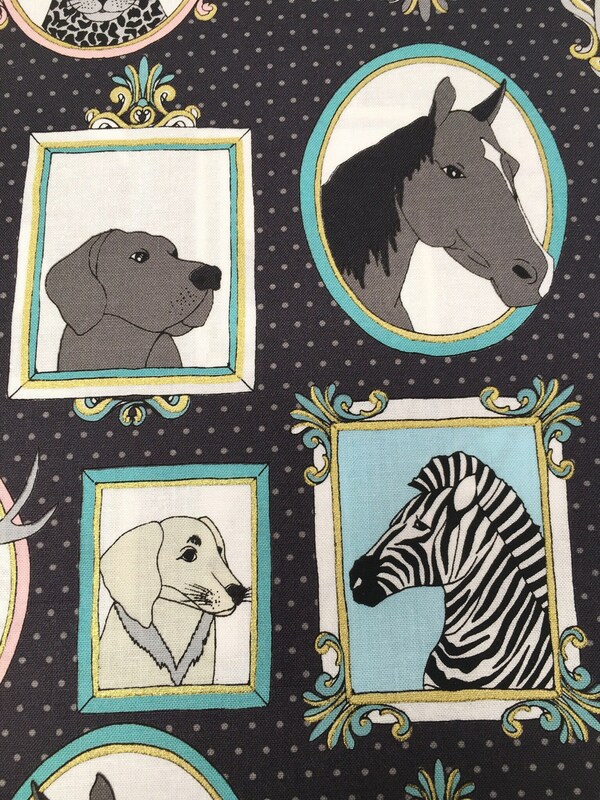 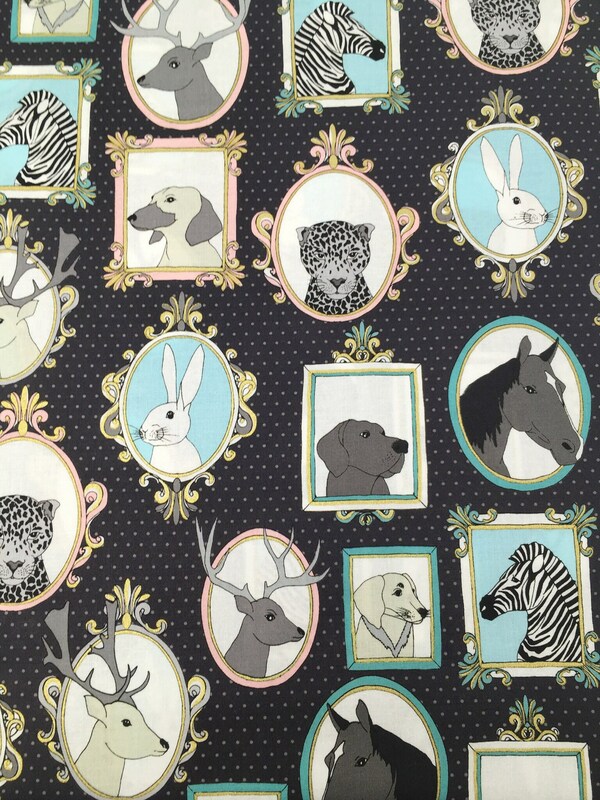 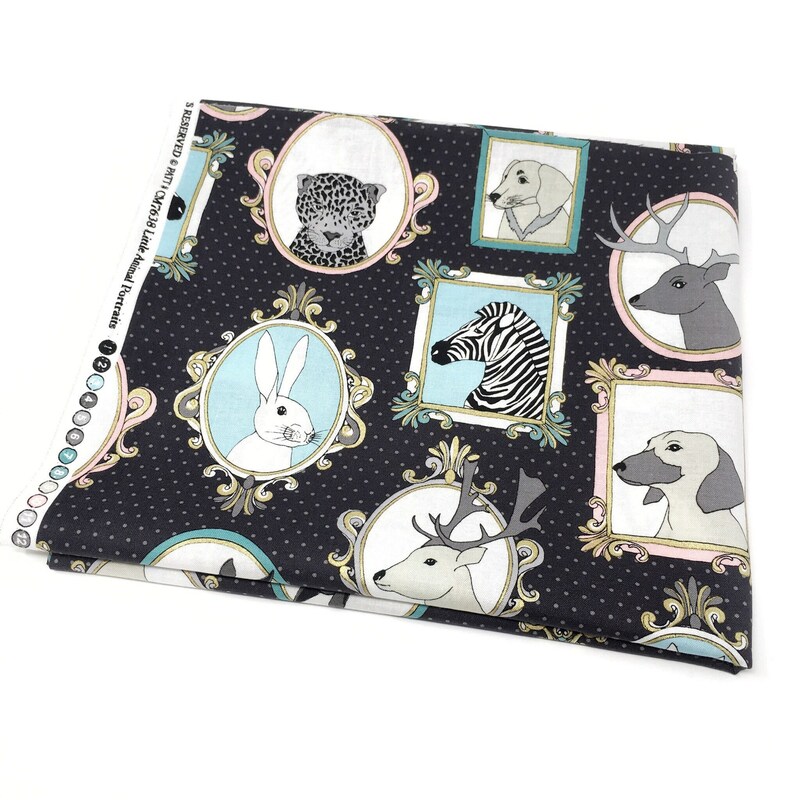 Little Animal portraits 100% cotton by Michael Miller fabrics. 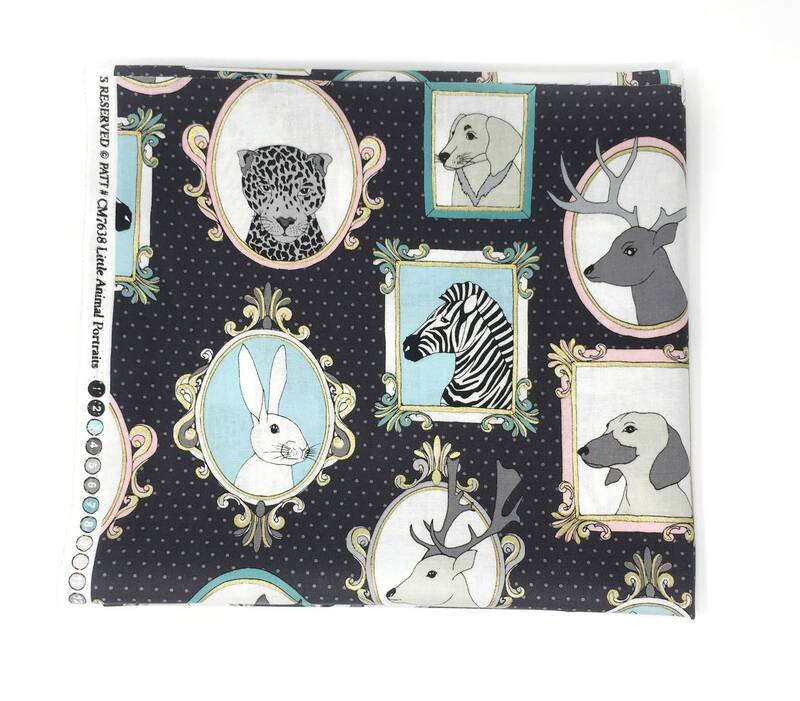 This stunning printed cotton fabric has a dark grey base and is printed with lighter grey spots. 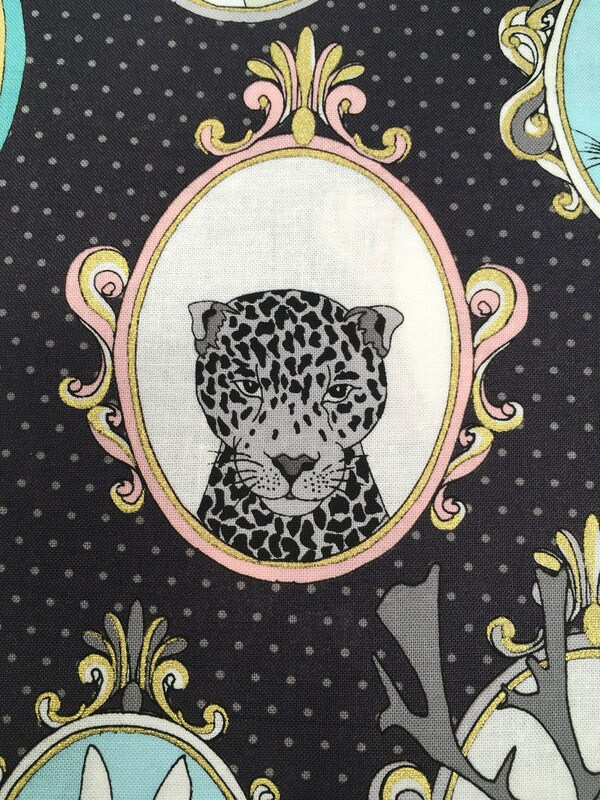 The print design features a selection of animal portraits in ornate frames of aqua, pink and cream. 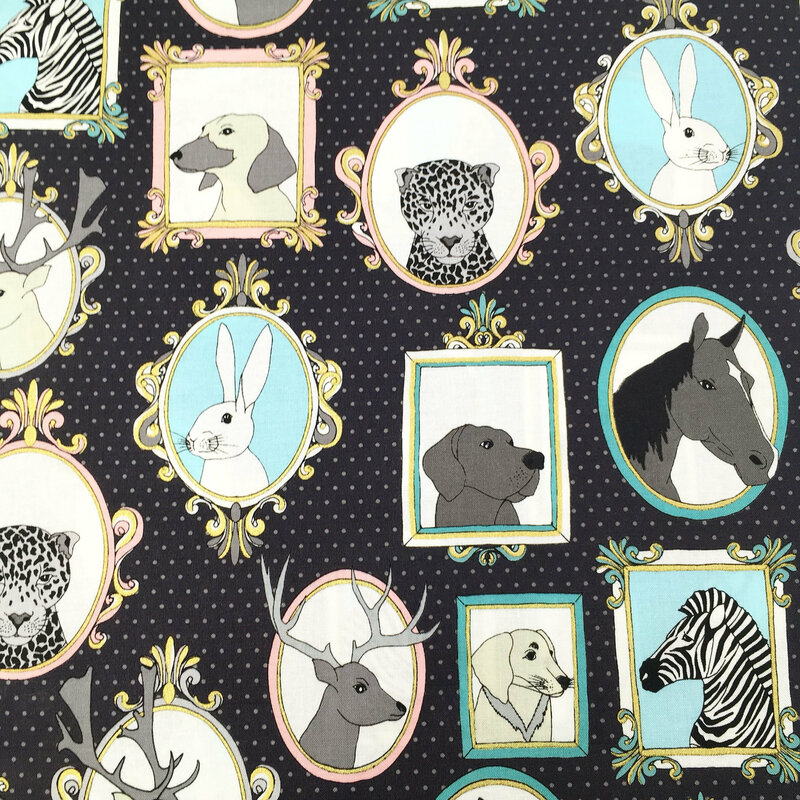 This stunning fabric has animals like zebras, bunnies, stags, dogs, horses and leopards. 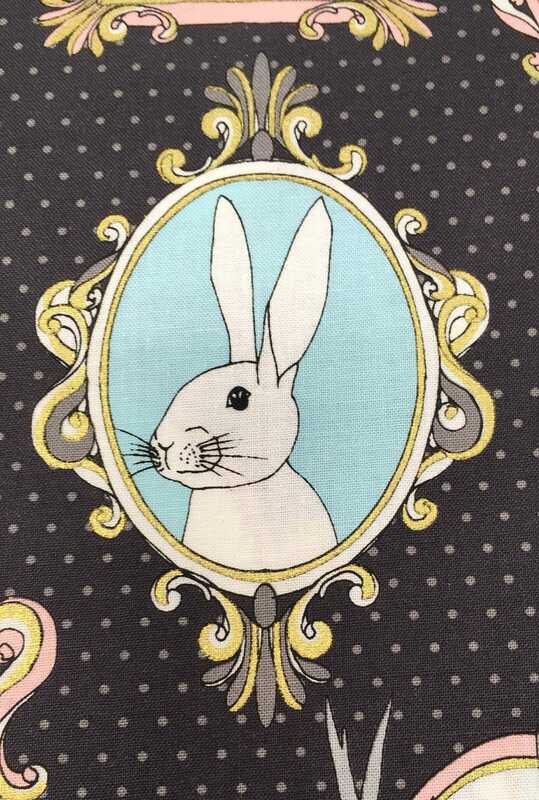 The fabric has metallic gold foil detailing on the frames too. 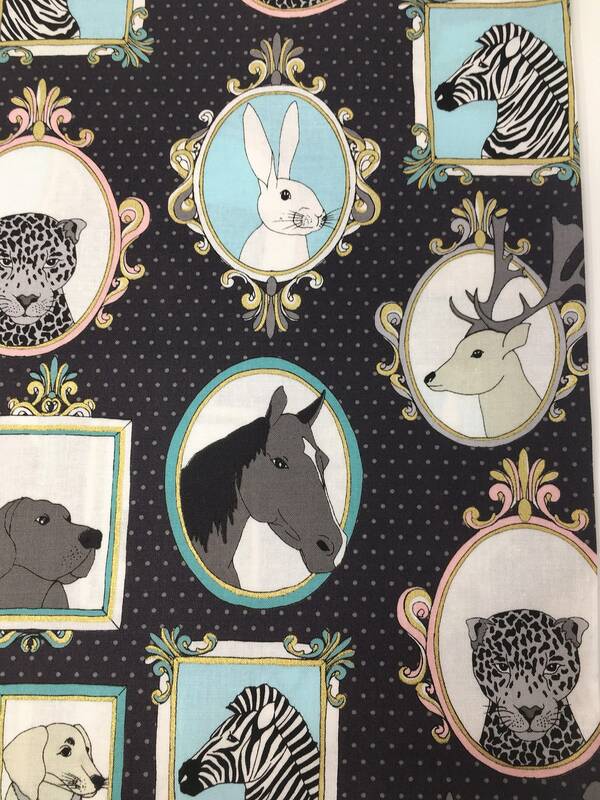 This beautiful fabric would be perfect for a nursery, any child is sure to delight in this fun design! 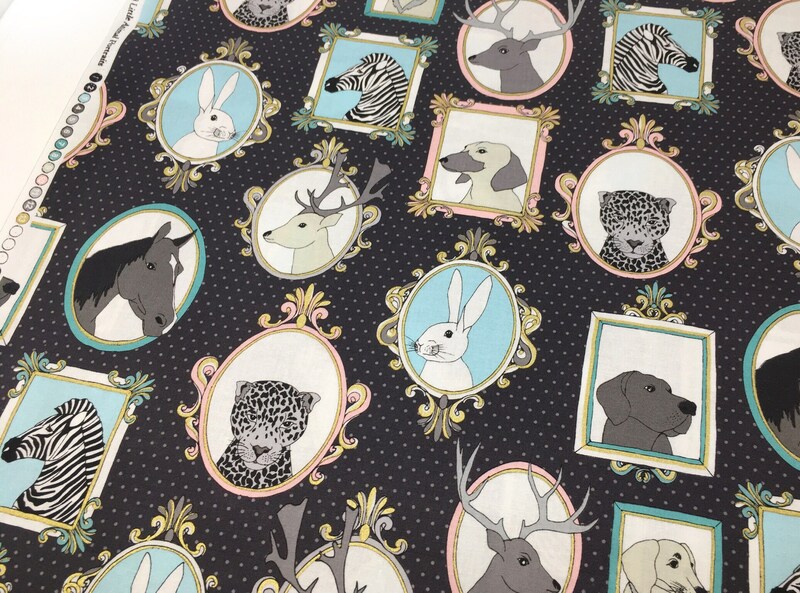 In addition to home decor this fabric would also be perfect for craft projects like patchwork or fashion projects like children’s clothing.